Try it out and tell us what you think by installing it from Pack. Update: Thanks to so many people who have tried and installed Google Apps from Google Pack and given us feedback. 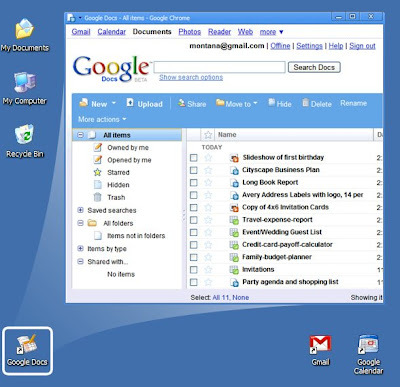 We wanted to let you know that we've heard you loud and clear that you'd like Pack to support these installable Google Apps not just for the standard Gmail, Docs and Calendar, but also for the flavor of Google Apps that businesses, schools and organizations use. We can't comment on future development here, but please do stay tuned--we're working on it. We've invited Julie Farago and Mike Smith, Product Managers for Google Pack, to tell you about recent updates to Pack that might interest those of you who regularly use Docs and our other apps. We think that you should be able to access your favorite web apps with the same ease and simplicity as desktop applications. Today, we took one small step in that direction. As an option in Google Pack, you can now quickly install desktop access points to Docs, Calendar, and Gmail. These access points include placement in the start menu, shortcuts on the desktop, and a presence in add/remove programs. If you use Gmail, you can also make it your default mail handler. When you launch the apps from these access points, they run in a streamlined browser window via Google Chrome. You may have tried to customize this on your own but now it's even easier. feature in spreadsheets. 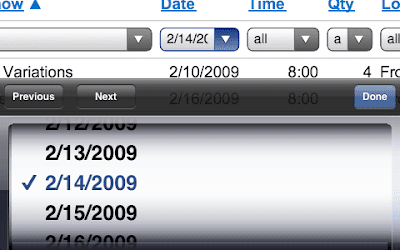 Once a range of cells are selected, the feature can be accessed in Tools > Data Validation and lets you create rules for numbers, text, and dates. Let's see how it works. Say you're hosting a party, you've invited your friends, and want them to fill out a spreadsheet to indicate the best way to contact them, how many guests they're planning to bring, and what flavor of ice cream they prefer to eat. 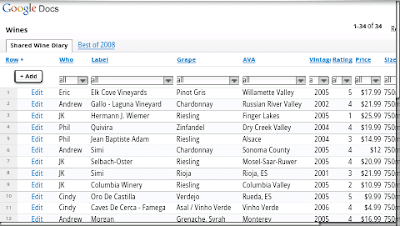 First, select a range of cells and use Tools > Data Validation to set up the rules. You can set up a rule to make sure that only valid email addresses are allowed so you know the best way to contact your friends. In this case, you can prevent users from entering in data (an invalid email) that breaks the rule. Next, you may want to suggest that your friends don't invite more than two additional guests, each. Another rule will prompt this suggestion for a different range of cells. Finally, if you're a chocolate lover, you may want to kindly suggest to your friends that their favorite choice of ice cream really is chocolate. Another data validation rule for text should do the trick. For this rule, your friends will see an ice cream flavor suggestion but they'll still be allowed to enter different flavors. Of course, there are other uses cases of data validation rules, like making sure your friends are entering their ideal dates for the party within a certain specified time range. Have fun planning your next party (with chocolate ice cream)! If data validation is applied to cells containing data, rules won't be applied until the data is modified. Only one validation rule can be applied to each cell. Have you ever wanted to suggest or control what people enter in your spreadsheet? 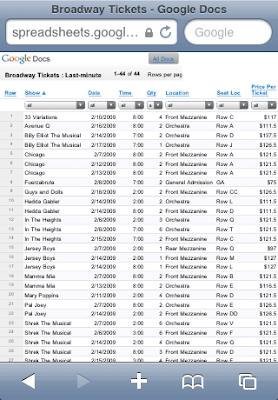 Now you can, using the new data validation feature in spreadsheets. 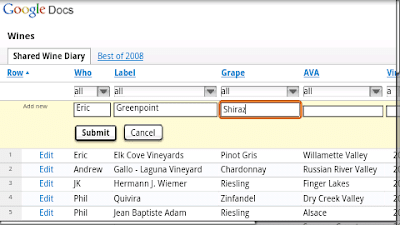 Once a range of cells are selected, the feature can be accessed in Tools > Data Validation and lets you create rules for numbers, text, and dates. Let's see how it works. Since the beginning of the new year, usage of personal finance templates has jumped more than 40 percent over normal usage. Resumes templates have also been popular -- understandably so -- given the state of the worldwide economy. You are busy creating budgets, getting fit, and updating your resumes. Are you sharing a workout spreadsheet with your training buddies to track progress as a group? Have you created a budget to get your financial house in order? Have you made progress in your job search by creating an online resume or CV? Willing to share your story (and possibly be featured on this blog)? Tell us your story. I look forward to reading all of them. About a month ago, people around the world made a New Year's resolution. Common resolutions include losing weight, eating right, managing debt, or saving money. Since we launched our templates gallery last year, I've been closely watching the number of people using each category of templates in the gallery. , an experimental feature that gives you access to email when you don't have a stable Internet connection or an Internet connection at all. 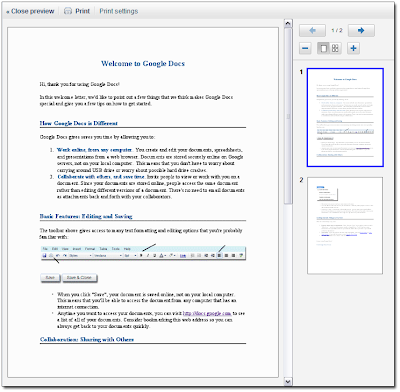 Back in March 2008, we launched offline access for Google Docs in English only. Since then, early adopters of this feature have been providing us with valuable feedback. We've been gathering this feedback and working to improve the offline experience (for example, the offline feature now works with Firefox 3), and now we're ready to bring offline access to more users. You can now get this feature in an additional 29 languages. To get started, you'll first need to enable offline access for Google Docs. 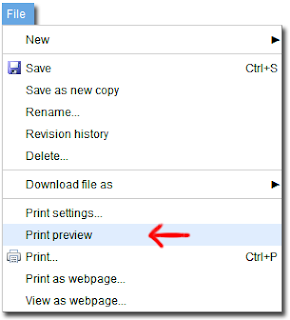 To help ensure that your experience using Google Docs offline is successful, take a look at this user group post which provides some helpful tips on using offline. Update: On February 4, 2009, we launched offline access in 9 additional languages. Last week, the Gmail team launched Offline Gmail, an experimental feature that gives you access to email when you don't have a stable Internet connection or an Internet connection at all.